1. “An Interactive Workshop to Understand Gender Dimensions” was organised by Gender Champions Club on 10th Feb, 2017. Mr. Rishi Kochhar, Co-ordinator LYF India, Amritsar was the keynote Speaker. 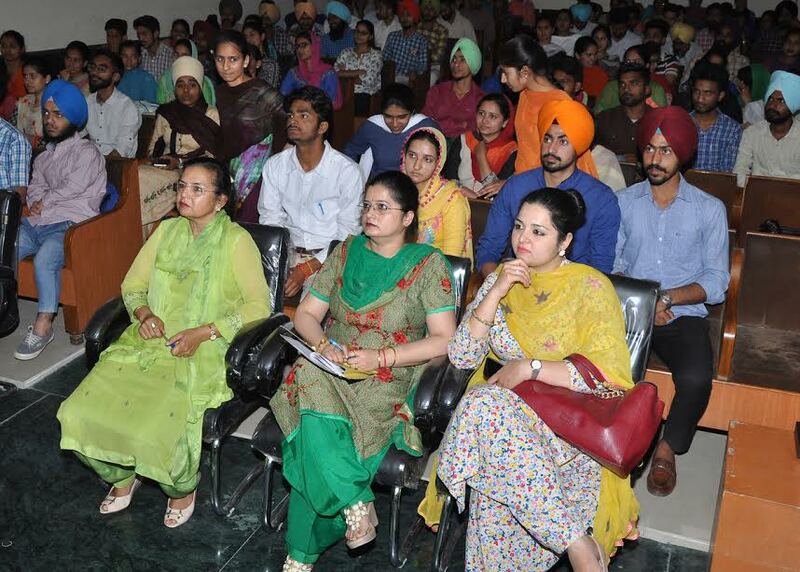 Manoj Kumar, Harmandeep Kaur, Shivdeep Singh, Akashdeep Singh, Sawan Kumar took active part in the workshop. 2. 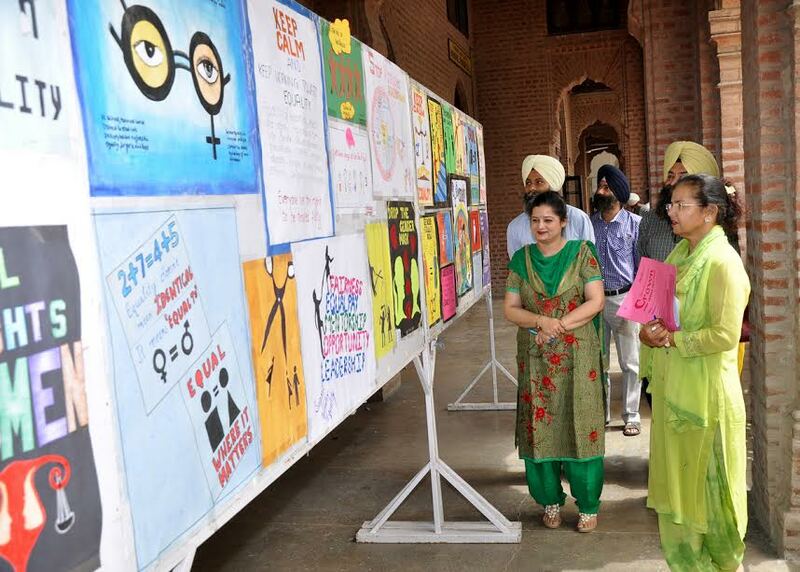 Gender Champions Club organised “Poster Competition and Documentary Presentation” on 6th April, 2017 to promote gender equality and sensitising students on gender issues. 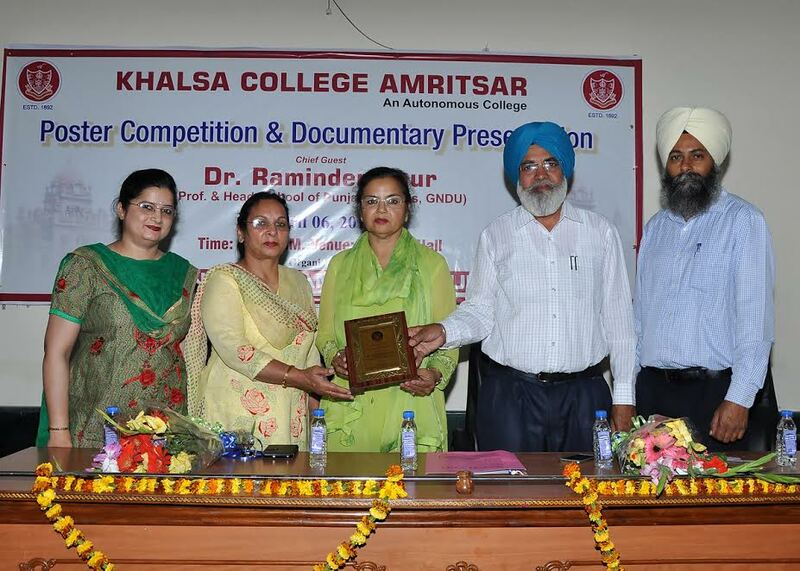 Dr. Raminder Kaur, Prof and Head, School of Punjabi Studies, Guru Nanak Dev University, Amritsar was the Chief Guest. She distributed prizes to the winners of poster competition. 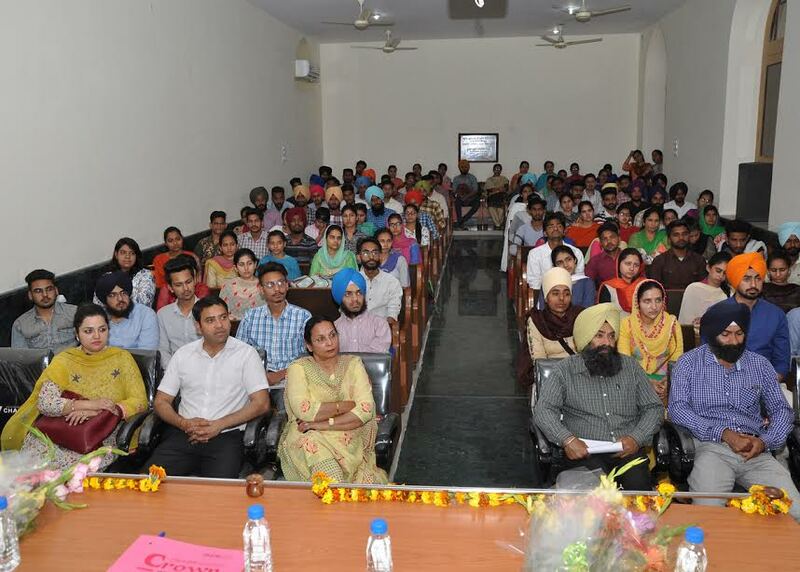 Students from various departments of the college participated in competition. 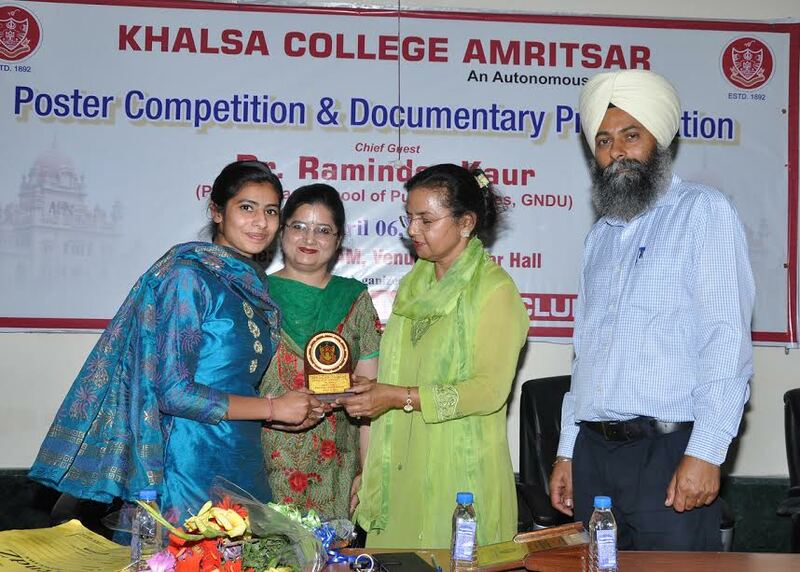 Amritpal Kaur from Physics Department; Harneet Kaur from Punjabi Department and Navneet Kaur from Computer Department were declared as winners of the competition. 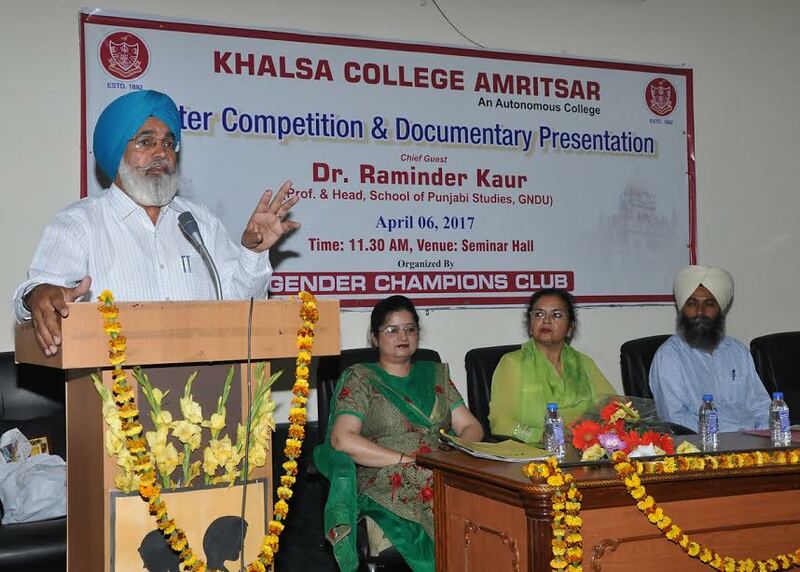 Documentaries prepared by a member of club, Harshivam Bawa, (Department of Journalism and Mass Communication) were also presented. Number of students including Sawan Kumar, Rameshpreet Kaur, Harmandeep Kaur, Manoj Kumar and Shivdeep Singh participated enthusiastically.